What a fall! Here in Driggs, Idaho (and also Park City, Utah), we have had more summer-like weather in September & October than we did in June, July & August this year. Add in the bonus of cool nights, no bugs, no wind, and spectacular colors...and it has simply been paradise. 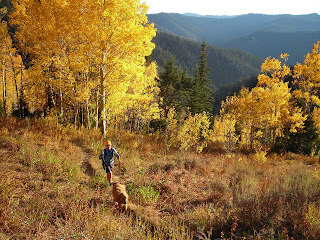 A recent evening hike up Coal Creek (near Teton Pass) revealed the most luminescent Aspen leaves I've ever seen. 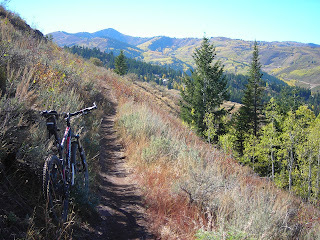 The temperature felt like July, sky was deep fall blue, not a whisper of wind, and we had the trail all to oursleves. Magical stuff. 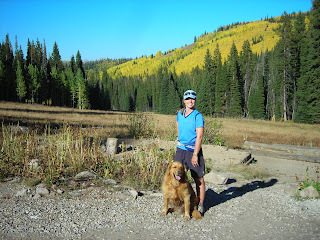 I've also been preparing the Baffin Park City store for winter, and getting out exploring that area more. 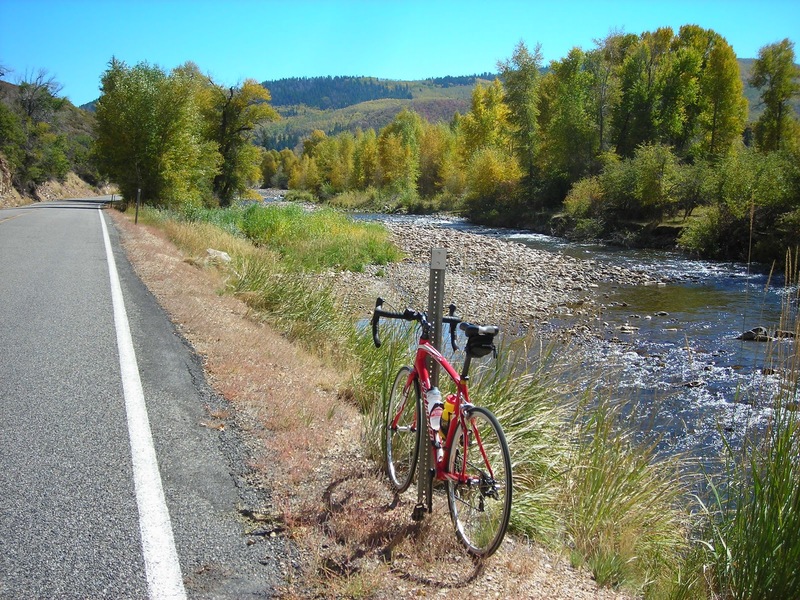 This photo is along the Upper Provo River, between Woodland and Tabiona; it's one of the most beautiful stretches of road I've ever seen, and I'll be back. 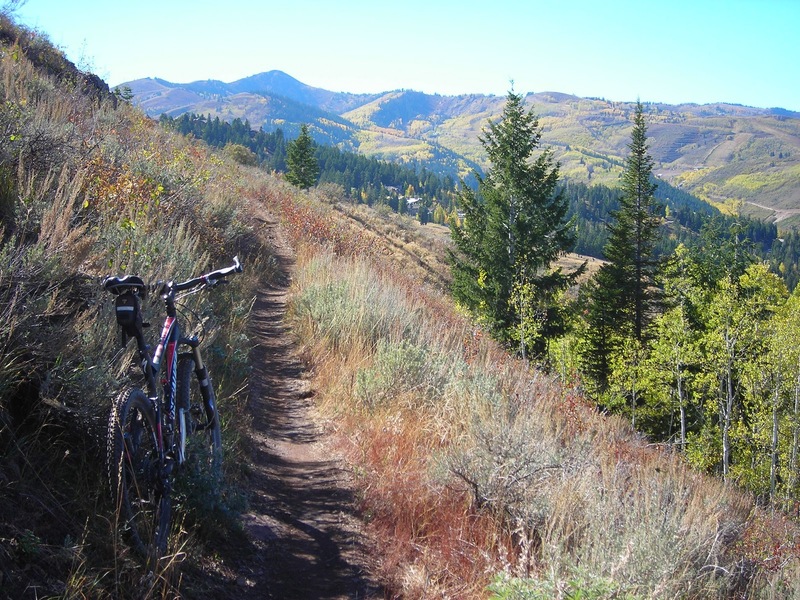 The trails around greater Park City are endless, seamlessly connecting to the Canyons, Deer Valley, and beyond. 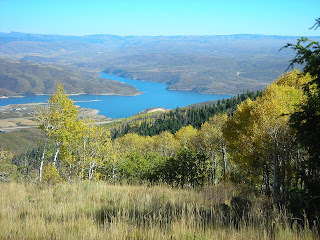 This is the view to the east, from upper Deer Valley: Jordanelle reservoir, with the Uinta mountains in the distance. Tough to beat. Another "pinch me" perfect day in the mountains, with Joanne & Bridger. I spent much of the summer preparing for and recovering from triathlons, so I've really enjoyed the chance to just go out and casually wander the hills during this amazing stretch of Indian Summer. Peaceful, healing, and inspiring times. The snow will be here soon, and we'll be ready. But wow, I don't remember a nicer fall in my lifetime.